At E3 2016, Microsoft announced three big initiatives for Xbox Live: Clubs, LFG, and Arena. The first two were added to the Xbox Preview program in early September, which means it's Arena's turn to shine. The feature was added to Xbox Preview today, and it lets Xbox One owners participate in official tournaments without ever having to leave the house. 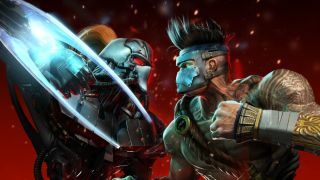 The plan is for Arena to eventually support multiple competitive games, but since it's currently part of the Preview program (see: in beta), it's only focusing on Killer Instinct for now. Practice tournaments will be held throughout October - all you have to do to participate is head to the Killer Instinct game hub and register via the Tournament tab. Done. No really, that's it. You don't need to scour this paragraph looking for more instructions. It's designed to be quick and simple. There's no solid date for when Arena will come to the general populace, but Microsoft claimed all three of these new features would launch sometime this fall.